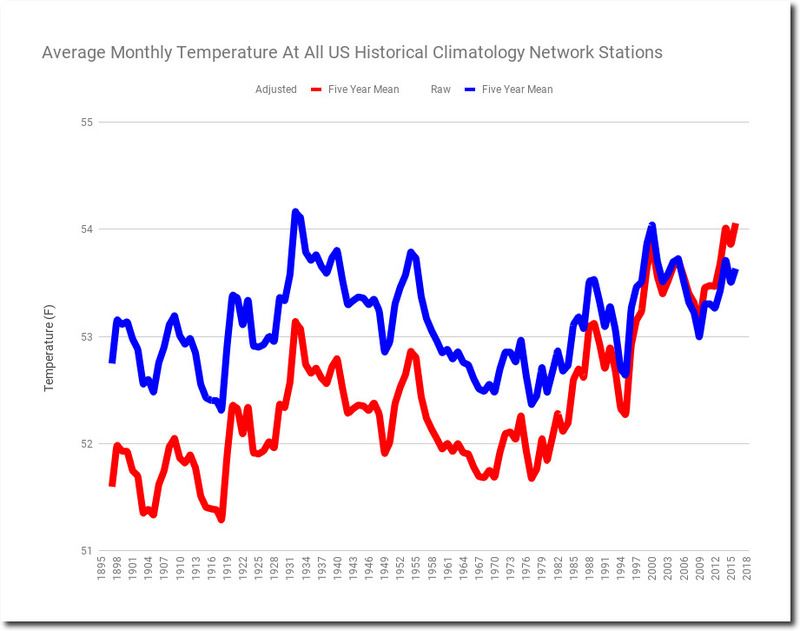 Measured US temperature data provides no evidence of warming over the past century, so NOAA alters the data to create the appearance of warming. 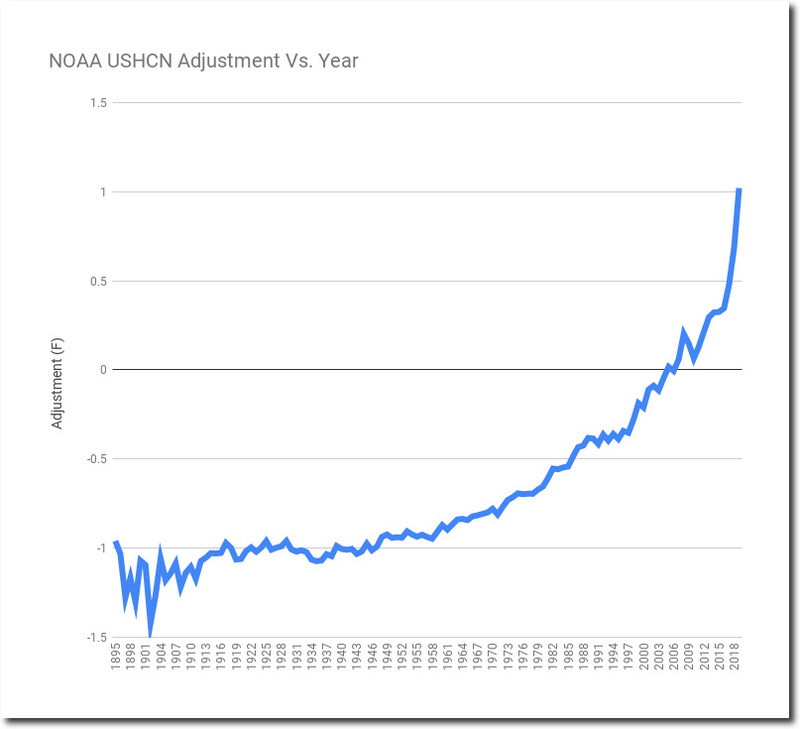 The data tampering makes a perfect hockey stick. 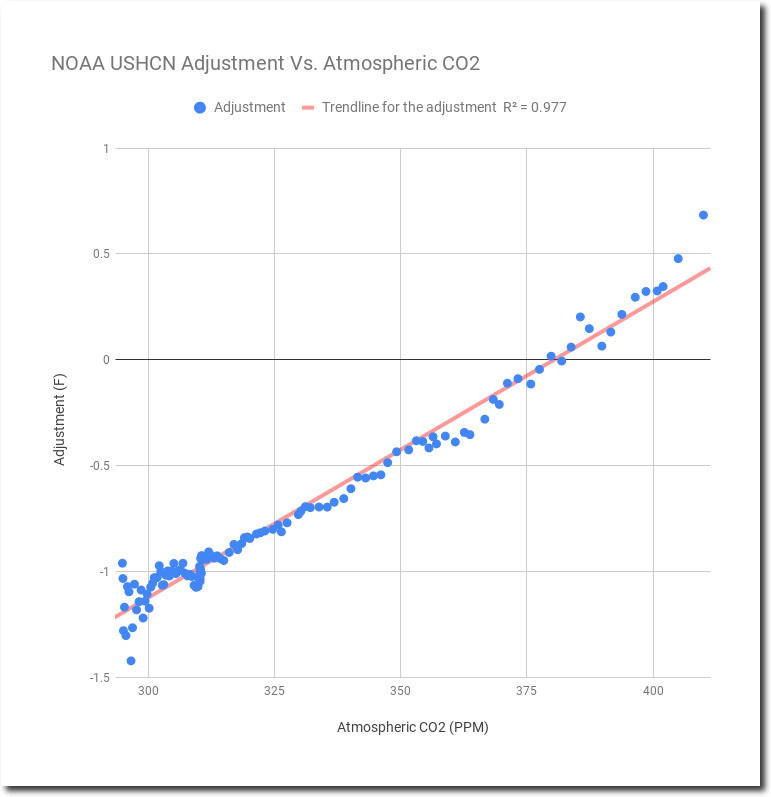 And the tampering precisely matches the increase in CO2.